In keeping with our mandate of providing support that exceeds expectations, it’s no accident that on a year-by-year basis, our customers reward EI with an unprecedented 99.9% satisfaction rating. 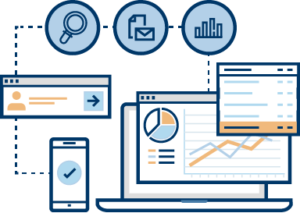 When you click on the links below, you will discover the unique journey, along with the leading-edge Enterprise Integration technological solutions we have had the privilege of successfully furnishing for our customers. Learn how EI helped CSX improve the field performance of their network and dramatically improve user experience while reducing network costs. 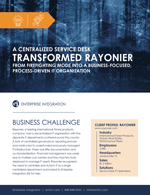 Learn how EI helped Rayonier consolidate five disparate IT locations into a centralized, streamlined, efficient operation with a steadied environment. 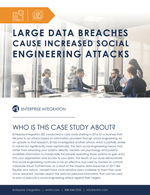 Learn about a business that fell prey to a social engineering scam and how hackers manipulated defined targets to obtain entry 3 out of 7 times. 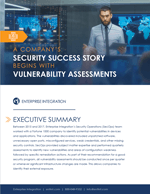 Discover how a Vulnerability Assessment from EI helped a Fortune 1000 company save up to $6 million and avoid huge regulatory fines and penalties.